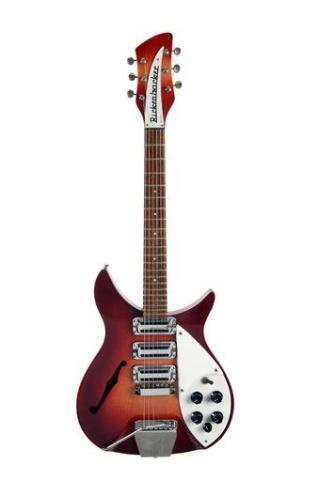 (Newser) – More than 800 items owned by Ringo Starr and his wife, Barbara Bach, are going to auction, including rare Beatles memorabilia like his three-piece drum kit used in more than 200 performances and a Rickenbacker guitar known as the "Beatle-Backer" that John Lennon owned and later gave to Starr. The unprecedented number of Beatles-owned objects will be offered Dec. 4-5 at Julien's Auctions in Beverly Hills. "We have so much stuff and a lot of it we haven't seen in 20 to 30 years," Starr, 75, said in an exclusive phone interview with the AP from his London apartment. He said the idea for the auction came after The Grammy Museum in Los Angeles asked to do an exhibition about his life and music in 2013-2014. He had few writing credits, probably the least wealthy of the Beatles, yet he's still worth $350m. Nice to see he's putting these items to good use. So, is Ringo about to kick off?